Give a delightful greeting with this garden basket. 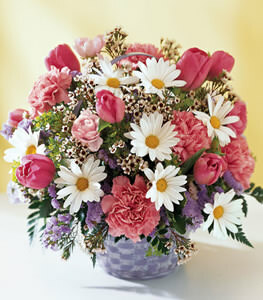 Pink roses (or tulips when in season), pink ranunculus, and refreshing white daisies peek out from stems of white waxflower. Great to send just because.